All of our windows have excellent energy efficiency credentials with them achieving an 'A' grade energy rating with ease. This provides a net energy gain of 2KWH/m2/per year to the household. Our windows are ecologically sound and sustainable with post consumer waste PCV-U being recycled to make state of the art window reinforcing material, RCM whichi s used where possible. This provides considerable green benefits, higher screw retention than steel and a tangible benefit to any homeowner with a reduction on emissions and heat lost through windows. 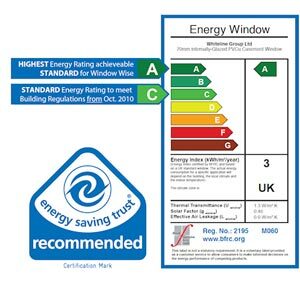 The Window Energy Rating (WER) labelling scheme was launched in the UK by the British Fenestration Rating Council (BFRC), a Government-supported independent body. By using information contained on the label, consumers can reliably compare one product with another and make informed decisions regarding the energy performance of a window. The A (best) to G (worst) rating system is similar to the labelling already used on white goods. 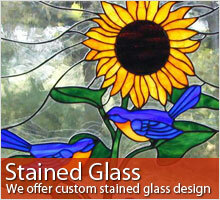 The label gives a rating on the whole window (frame and glass) and therefore allows fair comparison of one window with another.